32 OUNCES! TWICE AS MUCH AS OTHER BRANDS! 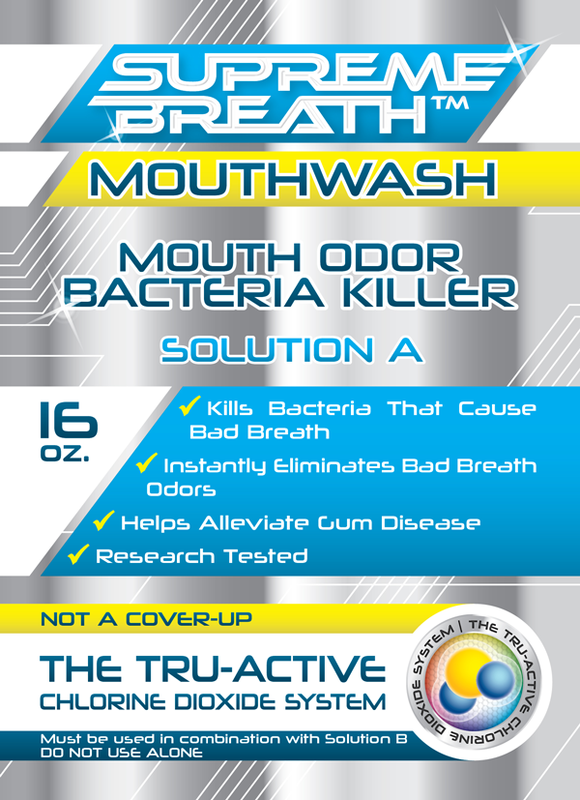 This is the ONLY mouthwash/mouthrinse with Tru-ACTIVE Chlorine Dioxide (ClO2) that instantly eliminates bad breath and kills 100% of odor causing bacteria in less than 1 minute. Recommended by Dr. Richard Miller, Director of the National Breath Center and a pioneer in the cure for halitosis, it is the most powerful and effective mouthwash available to eliminate bad breath odor and kill the bacteria that cause it. 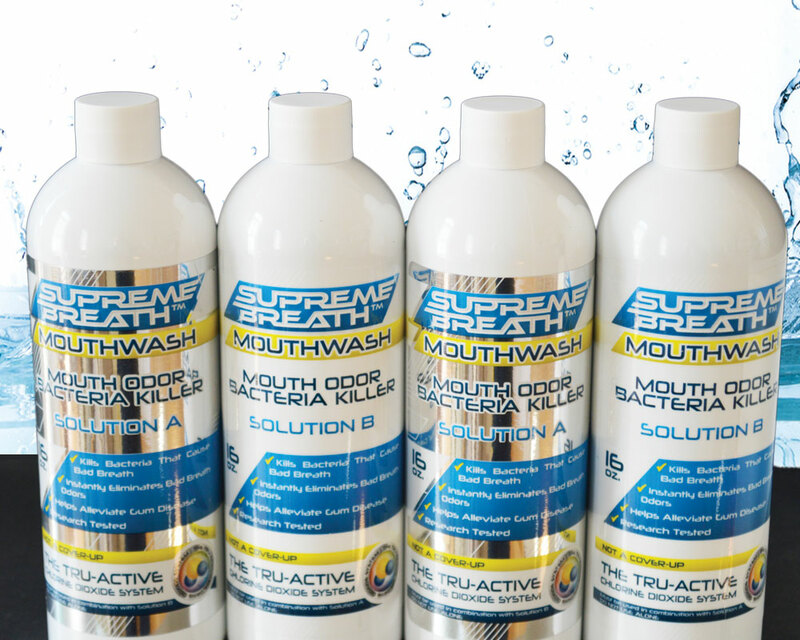 Supreme Breath© Tru-ACTIVE mouthwash has a mild, minty flavor. 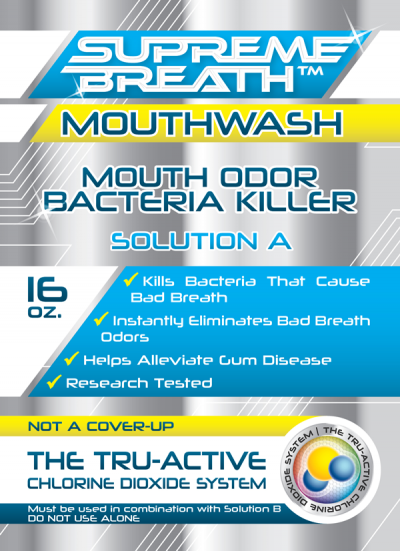 The mouthwash comes in two parts and is mixed (16 oz each) to create the most powerful bacteria and odor killer available. 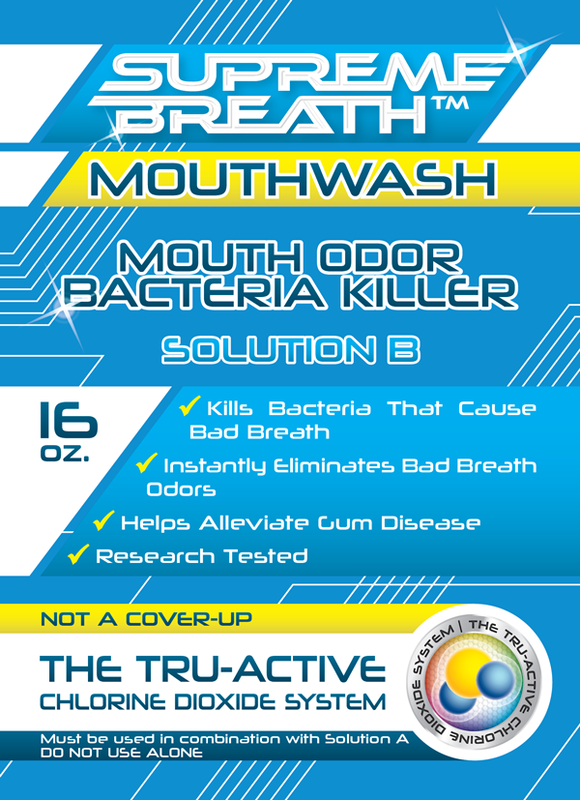 When mixed, it effervesces, and swishing gets the solution into all the nooks and crannies in the mouth. And, these are the ONLY products where YOU control the concentration. 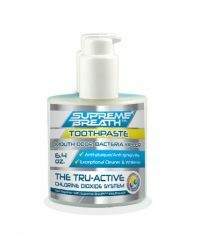 (Instructions are included) When used with Supreme Breath Tru-ACTIVE toothpaste, together they provide optimum effectiveness in eliminating odor and killing bacteria. 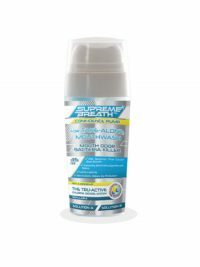 Supreme Breath™ products are the most powerful and effective products available for eliminating odor and the bacteria that cause it. 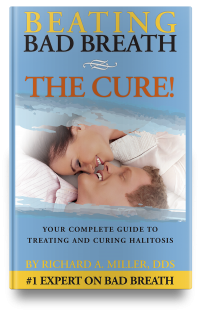 They are the cornerstone of the Beating Bad Breath Protocol and are an integral part of our TOTAL CURE at the National Breath Center. Contains (2) 16 ounce bottles, cup and convenient pump dispensers. 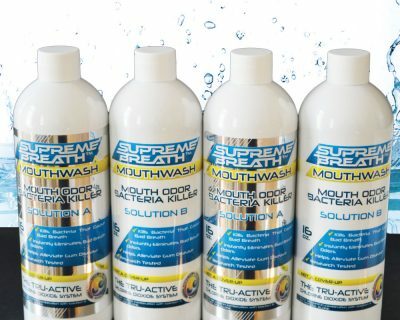 Supreme Breath Products will last up to one year without affecting its efficacy when mixed.